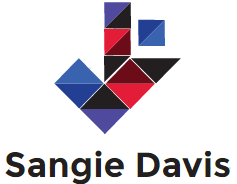 sangiedavis is a small firm of skilled and experienced lawyers dedicated to providing intelligent and innovative legal representation to people who find themselves in complex cases. We specialize in criminal defense and personal injury. At sangiedavis we represent people across Wisconsin in state court, and in the Great Lakes region in federal court in legal matters that profoundly affect the lives of our clients and their families. We are innovative, not just insiders; hard working, not just hard charging; and thoughtful, not just tough. As an energetic and savvy firm, sangiedavis applies old-fashioned values and work ethic while using the latest technology and leading experts to assist in complex investigations and litigation. Equipped with a unique combination of extensive criminal trial experience and leading personal injury litigation sangiedavis offers a powerful model of service to clients, who are at the center of a tight team of experienced lawyers with complementary talents, a shared commitment to excellence, and a reputation for remarkable results.